This terrific site was known in the ancient as Ta-Set-Neferu, which means “the place of beauty” and it also has different names including Biban el-Harim, Biban el-Sultanat, and Wadi el-Melikat. It was the place, where the ancient Egyptians used to bury the wives of the ancient pharaohs. The main Wadi is located inside this valley and it consists about 91 tombs and many valleys such as the Valley of Prince Ahmose, and the Valley of the Rope, There are also the Valley of the Three Pits, and the Valley of the Dolmen. The UNESCO has added this site to the World Heritage List besides the Valley of the Kings and Karnak temple & Luxor temple. It is located near the Valley of the Kings across from Luxor on the west bank of the Nile where you can explore it through a luxury Nile cruise. 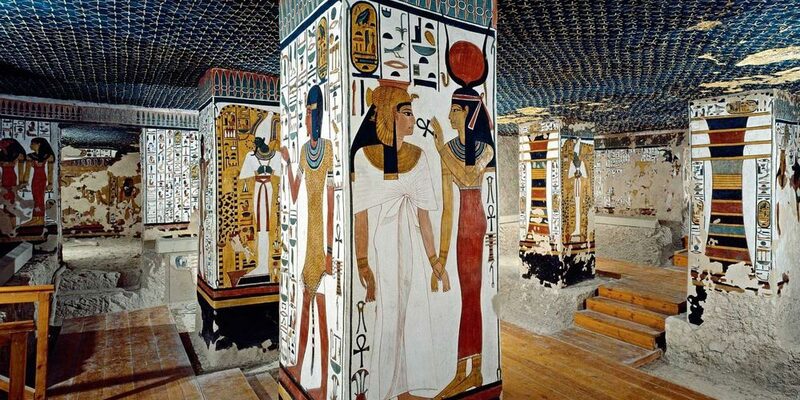 An example of the tombs located in the Valley of the queen is the gorgeous tomb of queen Nefertari from the 19th dynasty, who was the wife of King Ramesses II. Inside the site, there are also some tombs of the children of the ancient pharaohs from the 19th and the 20th dynasties. The earliest tomb there may belong to the wife of Ramesses I, Sitre. There are tombs of Khaemwese, Titi, and Amonhirkhopsef. 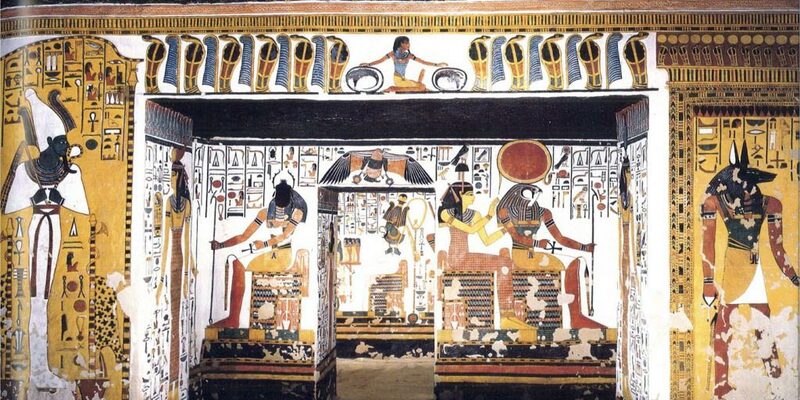 The fantastic tomb of Nefertari was known as Sistine Chapel in ancient Egypt. Queen Nefertari was the chief wife of Ramesses II. They married in 1312 BC and she soon gave him his first son, Amenhirwenemef. Although he married eight times in his life, Nefertari was his true beloved. Ramesses was really devoted to Nefertari and was obsessed with her beauty so he tried to make special things for her. Queen Nefertari was the main Royal wife of Pharaoh Ramesses II and she also played a vital role in foreign politics. Queen Nefertari was not an ordinary woman and that is why Ramesses wanted the world to know how special she was to him. Ramesses built fantastic temples in honor of Nefertari, which are carved from the cliffs at Abu Simbel in Nubia. In addition to this, he built her a marvelous tomb at the Valley of the Queens. The ceiling of the tomb is painted in dark blue and represents the heavens. 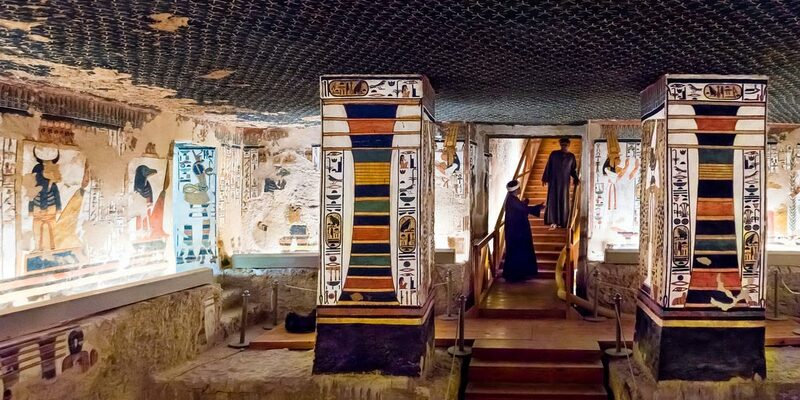 The walls are painted in wonderful inscriptions with offering scenes and some depictions of Nefertari being presented to the Gods. In the middle of the chamber, there is a red granite sarcophagus of the queen. This chamber was called the “Golden Hall” by the ancients. 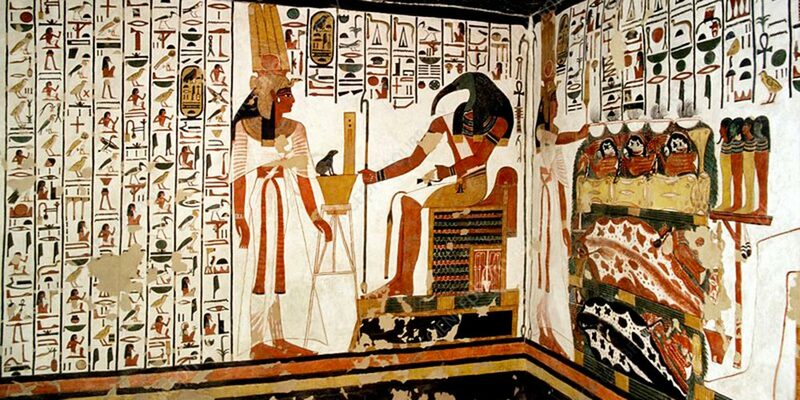 Every single place in the tomb depicts the life and death of Queen Nefertari. Finally, Egypt has plenty of historical monuments since the Pharaohs era plus amazing resorts on the red sea, so “Trips in Egypt” provide gorgeous tours to these places with the best services & affordable price through Egypt tour packages.